Browsing real estate listings can be fun, and picturing your belongings in your dream home is something that many potential buyers find themselves doing once they find a house that catches their eye. The beginning of the homebuying process is an exciting time, especially when you find that the house you want has all of your must-have features. However, to be sure that the home of your dreams doesn’t turn into a money pit, it is wise to request a home inspection prior to closing. 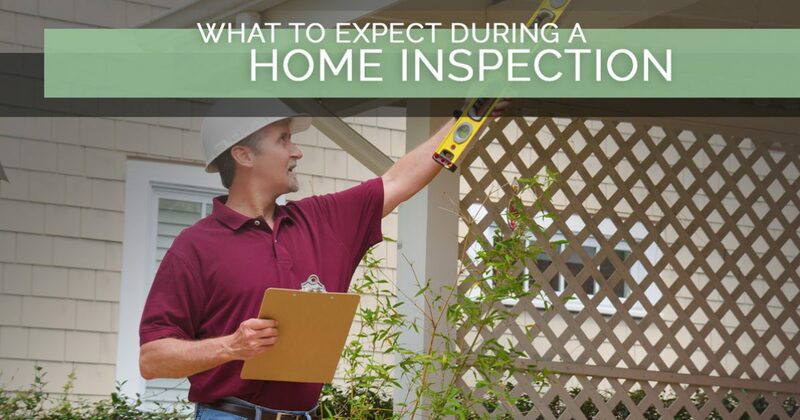 There are many aspects to the home inspection, and in today’s post, we’ll review the three main components of a home that are examined during this process. Are you looking for your dream home in the Houston area? 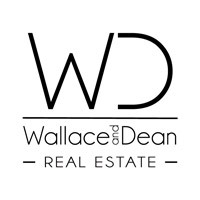 The experienced real estate agents at Wallace and Dean Real Estate know the local housing market better than anyone else. If you have a few real estate listings you would like more information on, call our team at 281-789-7349 today! What Is Reviewed During a Home Inspection? When the home inspector completes his or her inspection of the home you hope to buy, structural components such as the foundation will be closely examined to ensure there are no potential concerns. The foundation is one of the most important components of a home, and if there are any structural concerns with it, you need to know as soon as possible. If there are any areas of open framing, such as in an unfinished basement or garage, the inspector may also check to ensure there are no unsupported joists or beams. While the inspector’s assessment of the structural components of the home is a vital part of the home inspection, you can also check the interior of the home for tell-tale signs of foundation problems. If windows are difficult to close, doors don’t line up in the jambs properly, or the flooring is not level, the home may have suffered some significant settling. Likewise, cracking in the driveway or concrete patios that are pulling away from the home can also indicate an unstable foundation. Any structural or foundation concerns should be addressed with the sellers before closing if you decide to move forward with the purchase. The exterior of a home should also be under close scrutiny during a home inspection. While it is normal for the outside of a home to experience normal wear and tear throughout the years, significant damages that have gone unrepaired could be a red flag for unexpected future expenses. The siding, decks, balconies, and concrete surfaces should be inspected to ensure they are all in good condition. If the home has a sprinkler system, the home inspector may turn it on to ensure all zones run properly and that there are no broken sprinkler lines. In addition to inspecting the lower exterior surfaces and building materials, the home inspector should also get up on the roof to ensure that the roof system and its related components are in good condition. Worn or damaged shingles, gutters, flashing, and skylights can cause major water damage if left unremedied, and if the home’s ventilation system is not up to code, you could wind up with condensation and mold in the attic. If there are any repairs recommended, the inspector will make note of them for you to take to the seller. 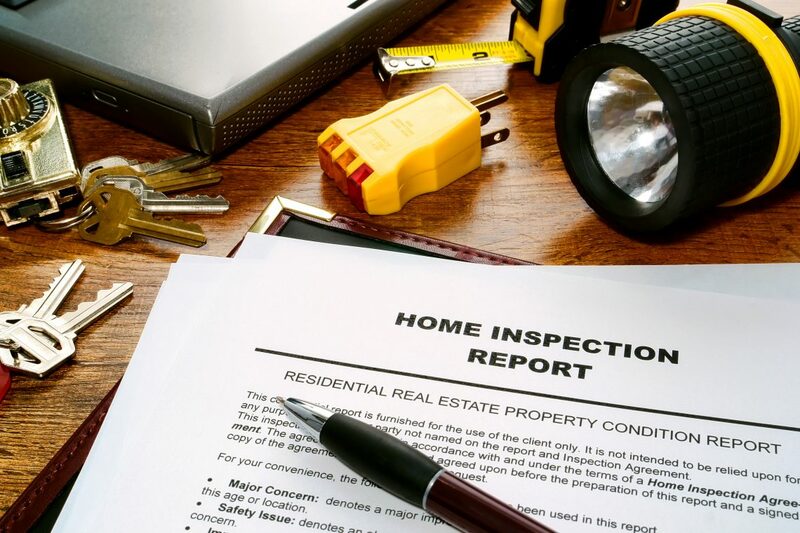 Has the home inspection on the home you want to buy come back with less than desirable results? Our team of real estate agents will work with you to determine if the failed areas are deal-breakers, or if they can be included in a list of concessions to take back to the seller. There are several interior components that should be tested and closely inspected by the home inspector during your appointment. The home’s electrical system can be checked with a close examination of the main panel and by testing every light switch in the home. Likewise, the plumbing can be inspected for proper functioning by checking the visible plumbing lines under cabinets, flushing toilets, and turning all faucets on and off. While the plumbing is being inspected, it is a good idea to also make sure that drains are functioning properly in the home. Many home inspectors will also do a test run on the dishwasher, washer, and dryer to ensure there are no issues, as well as test the water and ice dispenser on the refrigerator. When you are browsing MLS listings, central heat and air may be on your list of must-haves, and you can rest assured that the home’s HVAC system should also be closely inspected to ensure that the air conditioning unit, furnace, and thermostat are working properly. You or the inspector can request maintenance records for these items to ensure the system has been properly serviced throughout the years. If one of these systems is inoperational or not operating efficiently, don’t be afraid of including HVAC repairs or replacements on your list of concessions at closing. Whether you’re relocating to the Houston area from another state or you are a native who is looking for a home in a different neighborhood, our team of real estate professionals is here to help you find the home of your dreams. We are experienced in the home buying and selling process, and if you need assistance with finding a reliable inspector, we can help you with that also. Contact us today to discover the wide variety of quality real estate listings we have in the area!